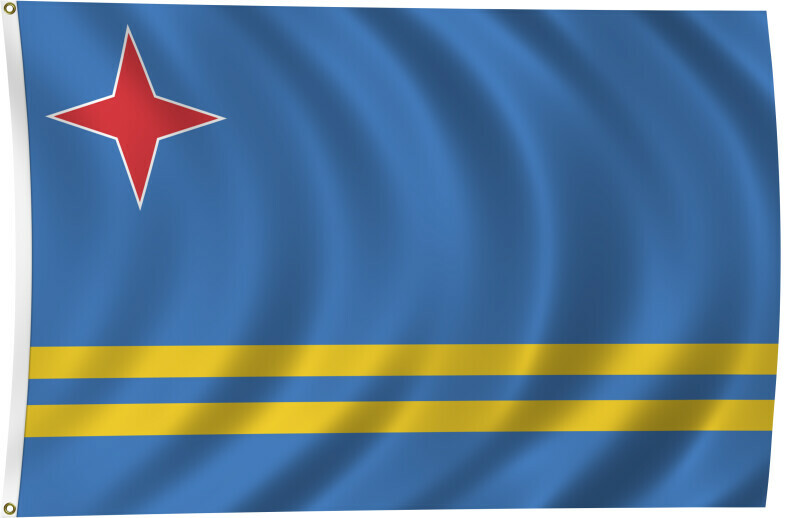 Color flag of Aruba. Blue, with two narrow, horizontal, yellow stripes across the lower portion and a red, four-pointed star outlined in white in the upper hoist-side corner. Flat color and black/white versions of world flags are available on the Clipart ETC website. WARNING: You are about to download a 2.0 MB TIFF!